Its all set to release now. Premam is a romantic thriller film written and directed by Alphonse Putharen. Produced by Anwar Rasheed under Anwar Rasheed Entertainment, the film stars Nivin Pauly and Anupama Parameshwaran in lead roles. And include a supporting cast of Jude Anthany Joseph, Maniyanpilla Raju. Rajesh Murugesan composed the music and background score. The cinematography was handled by Anand C. Chandran. The film is set to release in 29 May 2015. 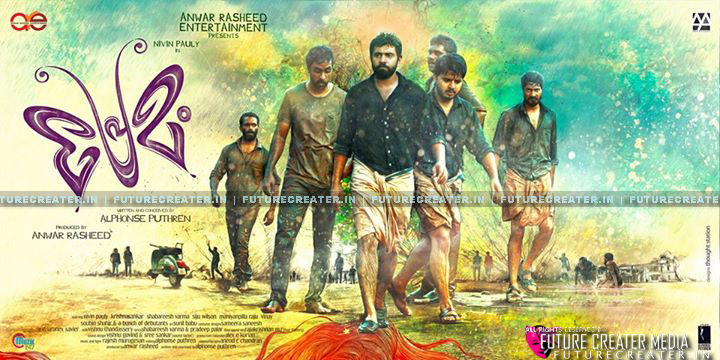 Premam is produced by filmmaker Anwar Rasheed, under the banner Anwar Rasheed Entertainments. Director Jude Anthany Joseph will make his acting debut with a supporting role in the movie. Manianpilla Raju, Vinay Forrt, Soubin Shaheer, Shabareesh Varma, Krishnasankar, Wilson Joseph, Deepak Nathan etc essays the other key roles. Anand C Chandran handles the cinematography and Rajesh Murugesan composes the music. The lucky star nivin pauly appered in three different looks, may impress a lot. As the title says, it’s a pure romantic movie that covers different panes of a man’s love life. Dialogues between lyrics is awesome and making curiosity to the viewers. So its all about preview, just go and watch movie in theater and respect the art and effort of so many peoples in & behind the screen.